A £50 security deposit is required at the time of booking either via bank transfer, cheque or PayPal(4% surcharge) to secure the holiday. The full balance is required 2 weeks before arrival date. The security deposit of £50 is returned at the end of the holiday once the caravan has been cleaned and inspected for breakages/damage. The Robertson family strive themselves on providing an excellent holiday experience. We have over 14 years experience of subletting and thrive to ensure that your stay is of the highest level providing a warm, friendly, personal and homely touch. 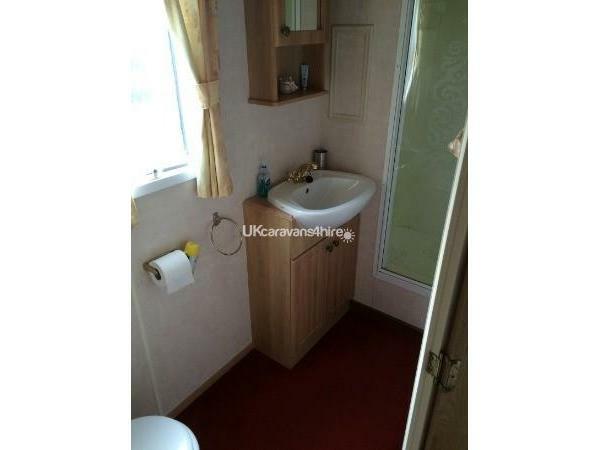 The caravan is a luxury ABI Montrose with full double glazing/central heating and is 37 x 12 foot wide. 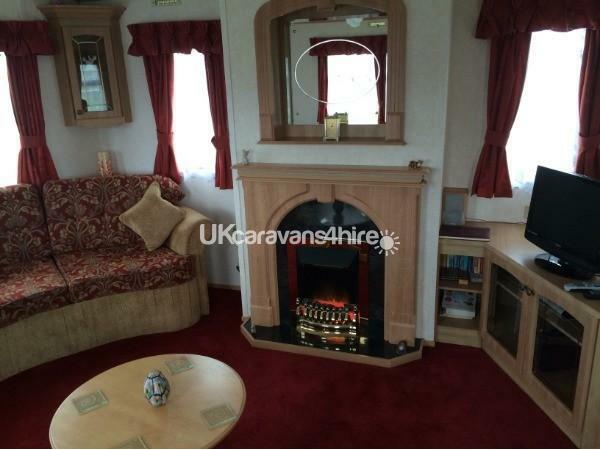 6 berth consisting of two bedrooms (1 double and 1 twin) and a pull out double bed in the living room. Bed linen, duvets and pillows are provided and these are made up fresh for your arrival. Living Room - spacious living area with two individual sofas and armchair. 32" LCD TV with SKY digital, HI-FI system and DVD player. Electric fire and gas radiator. Kitchen- spacious, well equipped and fully fitted with everything you will need for your stay. 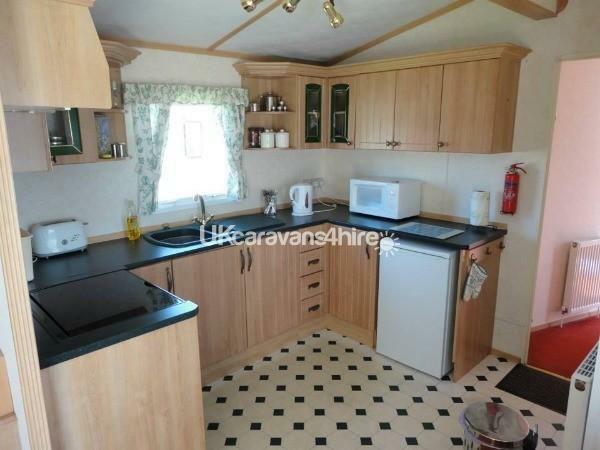 Gas oven and hob, kettle, fridge with freezer compartment, microwave and toaster, all crockery and utensils. We also include a welcome pack that includes tea, coffee, toilet rolls, sweets and a folder full of ideas and tourist attractions in the local area. Bathroom- family bathroom with power shower, sink, vanity cabinet and toilet. 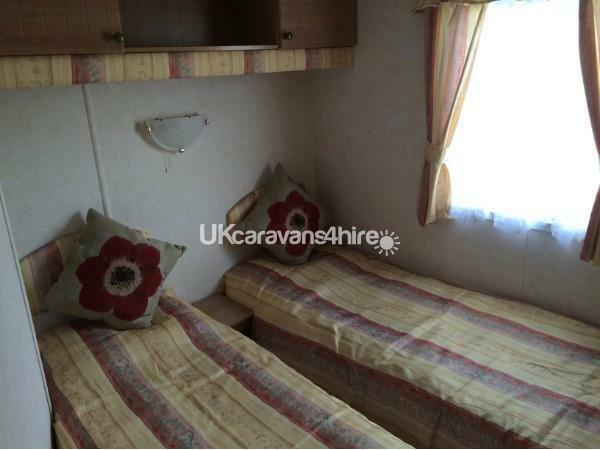 Twin bedroom- two single beds which can be pushed together to form a double if necessary. 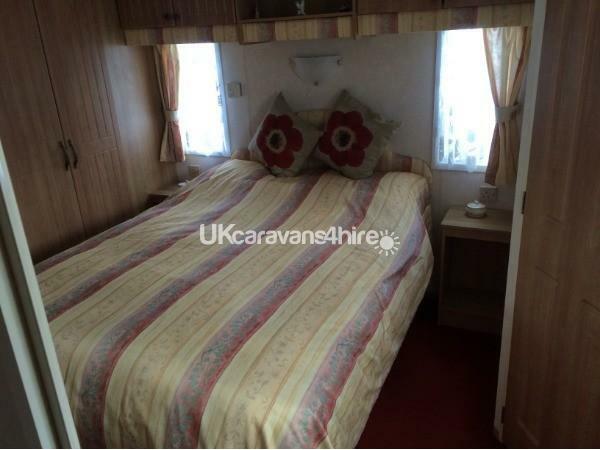 Beds made up on arrival, plenty of storage space with overhead cupboards, vanity unit, full size wardrobe and gas radiator for warmth. Master Bedroom- large double bed with beds made up on arrival, plenty of storage space, overhead cupboards and 3 large fitted full size wardrobes, vanity unit, shaver socket and gas radiator for warmth. Outside consists of a tarmac driveway with parking for a car and garden furniture for those nice days in the sun. Seton Sands Holiday Village is an all star park with many facilities including: clubs for the kids, amusements, indoor pool, cabaret and kids shows at night, showbar and terrace bar restaurant, fish and chip takeaway, fully stocked grocers, launderette and much more. Park is located on the seafront with access to beach. The area has lots to do, Edinburgh with all its tourist attractions, North Berwick is a short drive away housing the Seabird centre and nearby is the Museum of flight which plays host to concorde, Go-Karting and a farm park for the kids. We accept bookings for 3, 4, 7 and 14 night stays. Longer bookings may be available upon request. Minimum length of stay is 3 nights. On booking a break with us we ask for a £50 deposit to be paid upfront to secure the holiday and the remaining balance can be paid 2 weeks before arrival date. We also ask for an additional £50 refundable security bond that covers any breakages/damages which is returned at the end of the holiday. 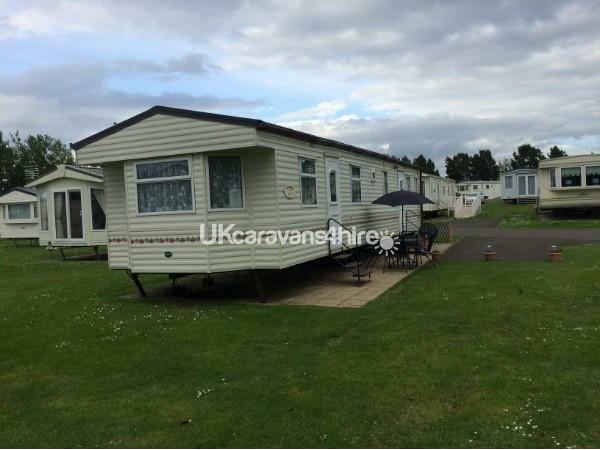 Once booked we provide you with a full caravan inventory detailing all equipment in the caravan for your convenience, booking confirmation form and a receipt for your booking. Give us a call and we will be happy to answer any queries you may have. Additional Info: Seton Sands is an all action Haven holidays park with many great facilities including swimming pool, 9 hole golf course, bars, restaurants, kids clubs, entertainment and outdoor activities to name just a few. 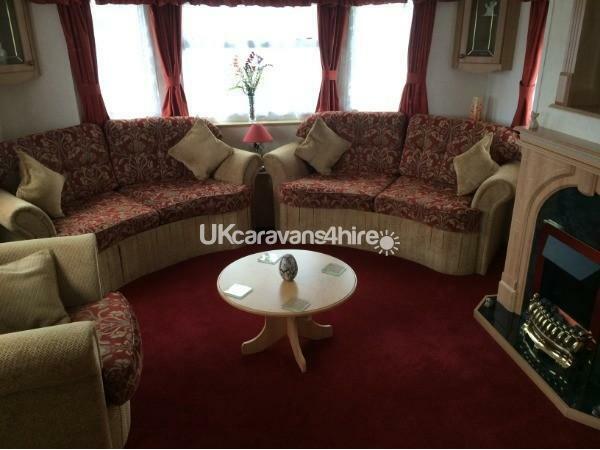 Excellent caravan with everything you would need and more the Robertson family have thought of everything. Nice little touches. Smooth check in, check out process and great communication, available whenever they were needed. Thoroughly recommended. Many thanks for your kind review. The Robertson family.